By ministerial decision the sleepy village of Unterleuten gets an ‘opportunity’ to play a pioneering role in the latest of social evolutions: wind energy as the power source of the future. Although no one in the village has asked for it, windmills become everyone's new obsession. Driven by the pursuit of profit, self-interest, or good intentions, a hardly subtle struggle breaks loose in this micro society full of colorful characters. Decades old skeletons and newly fledged insights tumble over each other in a search for a relationship to the new capitalist ecology. Who’s better off? Perhaps the one who can best adapt to the new reality. The survival of the fittest, but with a wrong green edge. Based on the novel "Unterleuten" by Juli Zeh, translated by Annemarie Vlaming (Ambo Anthos). 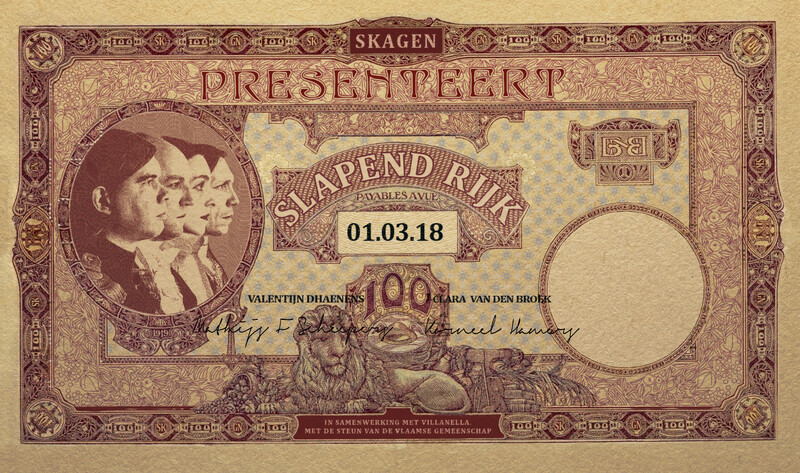 Adaptation by SKaGeN / Mathijs F Scheepers. SKaGeN, icw Villanella & DEStdudio.